Last night I flew Virgin America for the first time, from JFK to SFO. 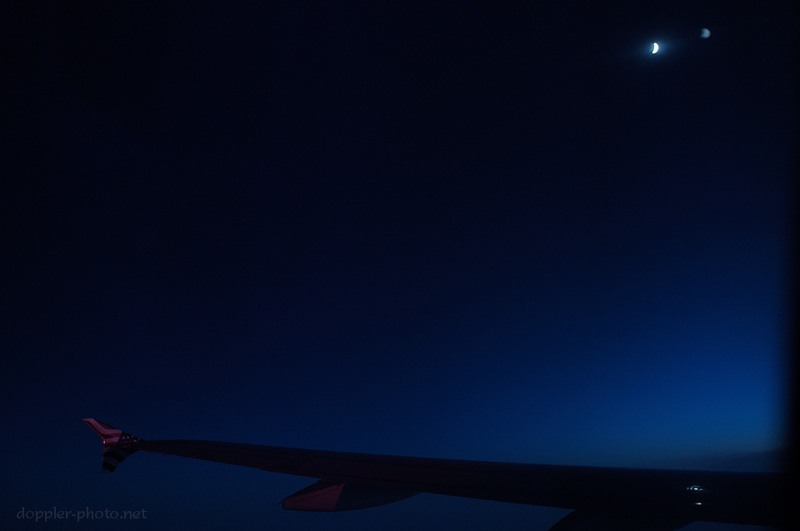 I was pleasantly surprised by the American flag emblems painted on the winglets of our A320, and I was lucky enough to get a decent crescent shape out of the moon. All told, I'm pleased with how this shot came out.